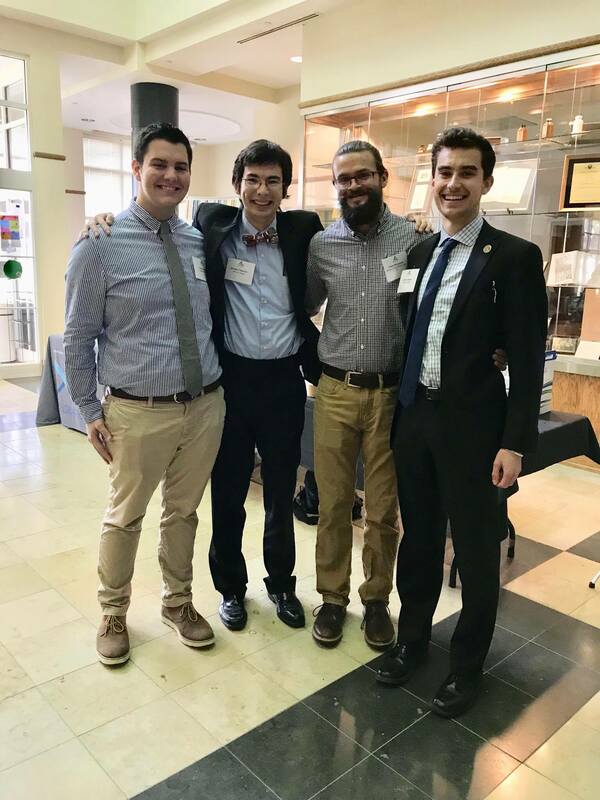 This past weekend, several Juniata students had the opportunity to present their research at the Allegheny Branch of the American Society of Microbiology’s yearly conference. As a bonus the meeting was held right here at Juniata in the von Liebig Center for Science. The conference took place over the course of roughly thirty-six hours starting from early afternoon on Friday and ending early evening on Saturday. 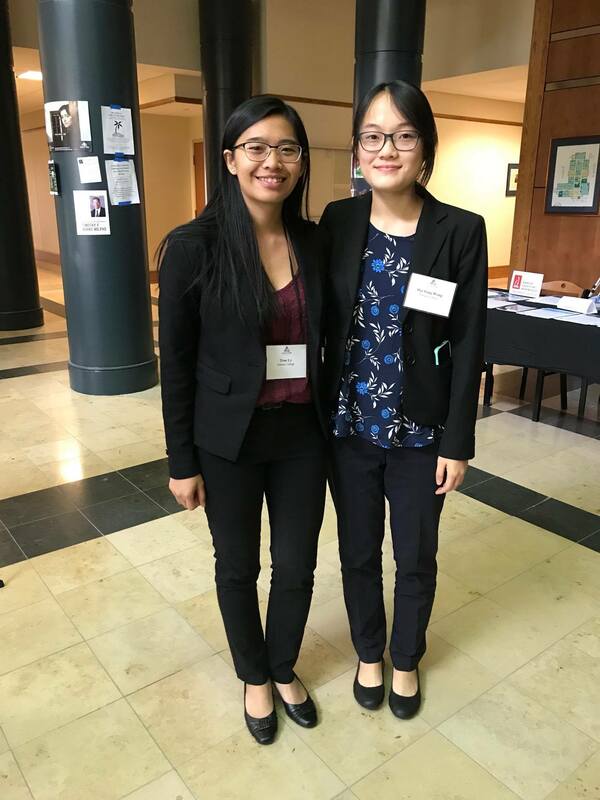 Over the course of those thirty-six hours students from nineteen institutions, both graduate and undergraduate, had the opportunity to learn about a diverse range of topics from distinguished speakers and from one another. There were several unique presentations over the two-day period. The first was a self-mentorship workshop where the speaker guided us through introspective searches into our deepest desires and goals which we later used to help craft a personal mission statement. The next day we participated in a workshop given by a Juniata alumnus that now works at Ecovative, a company that produces biodegradable packaging products with fungus. We even got to take some samples home with us! To close out the conference Juniata’s very own Dr. Belle Tuten, a history professor that specializes in medieval medicine, gave a talk on the methods by which doctors in medieval times used to treat wounds. The subject matter, which was quite humorous by itself, was made even more so by Dr. Tuten delivering her speech as if the medical practices of the past were perfectly reasonable methods for treating diseases. 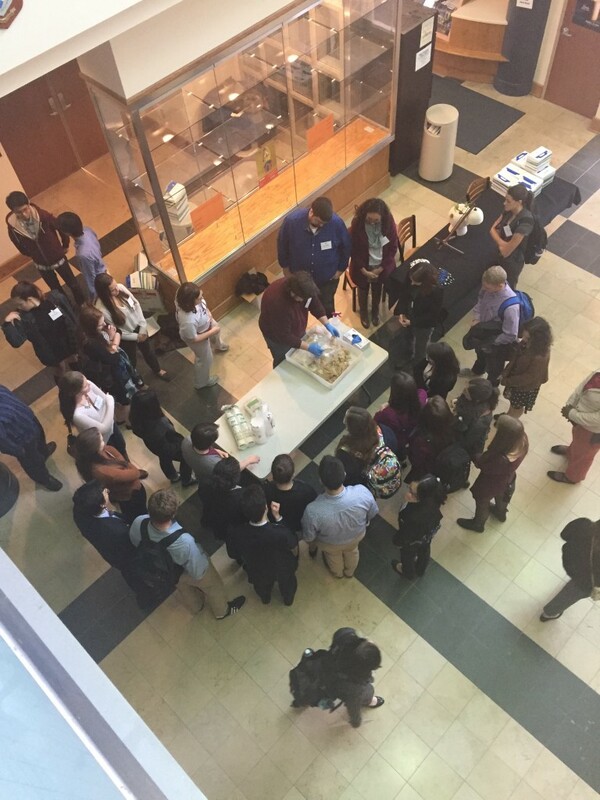 While the workshops and speaker sessions were fun and educational, nothing compared to the student presentations. Although I presented this summer at the Landmark Conference at Susquehanna University, presenting at an actual society meeting had a much more significant feel to it. Sharing my hard work with a room full of people who were just as big or bigger science nerds than me was phenomenal and then being able to sit back down and learn about all the other awesome projects students were working on was just as exhilarating. This conference further affirmed by desire to go into research when I graduate from Juniata this May. I learned so many new things about tools like CRISPR and about how viruses affect fetal brain development, to cover just a few things. This conference increased my thirst for knowledge and understanding about the scientific world and made me that much more excited about graduate school next year. Of course, none of this would have been possible without the constant support and mentoring by Dr. Regina Lamendella and Justin Wright and their lab. Without them I highly doubt that our lab would have done so well at the conference, and many of us that presented wouldn’t have had as high quality research to present on without their connections and collaborations. There are many labs that conduct undergraduate research on campus. Students can do research in almost every department on campus, and many students present this research at local, regional and national conferences, including the National Conference on Undergraduate Research and our very own Liberal Arts Symposium which we host every Spring. From my experience, albeit limited, Juniata has one of the best programs for undergraduate research. Everyone is encouraged to participate and you can get involved as early as your freshmen year. All it takes is a little initiative, drive to succeed and no small amount of curiosity on your part. Even if you don’t think you’ll like research, I still encourage you to participate. You might find, like me, that you love research and the amazing sense of discovery that comes with it, and find it much more satisfying than being a doctor. Or you might not. It is better to try and not like it, then never try and miss out on an amazing opportunity. Not only that but if you do want to go to med school it looks good if you have done research. I leave you with this: Research can be difficult. There are days where you will want to pull your hair out because your line of code just isn’t working or your organic reaction has failed for the twentieth time. If you get nothing else out of research, you will at least learn the ability to fail. Yes, the ability to fail. It is an art, one that I am still mastering. Sure, succeeding at everything you do feels great, but you don’t really learn anything from it. Failing teaches perseverance and creativity. Believe me, you do a lot of failing when you first start researching. You learn as you go and slowly, you improve. The quality of your work gets better as does the understanding of your project, and for me, my desire to learn more about what I was researching also increased. 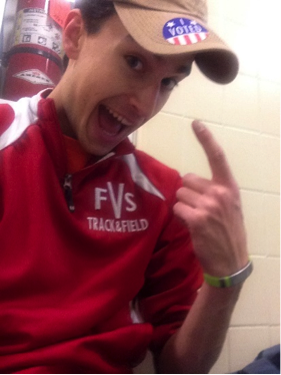 It is quite a journey but there is no better place to undertake that journey than Juniata. 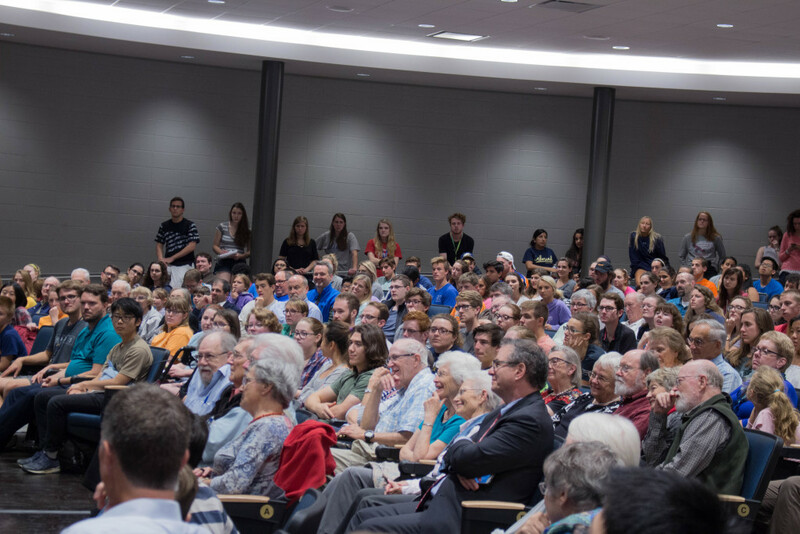 A few weeks ago, Juniata was visited by a very special guest, Dr. Bill Phillips of the Juniata College graduating class of 1970 and one of the 1997 Physics Nobel Laureates. Despite his huge success in his field, Dr. Phillips has not forgotten where he got his start, a small Liberal Arts college nestled in the hills of central Pennsylvania. 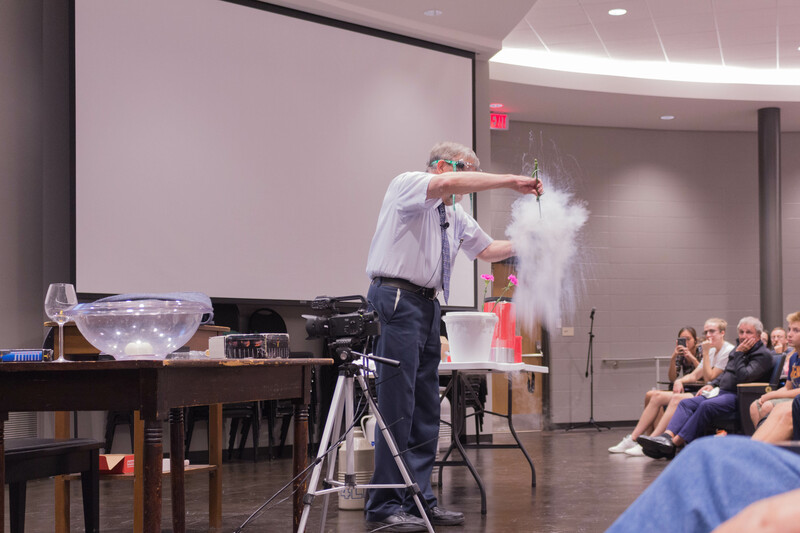 Dr. Phillips comes back every four years to give talks about physics and to interact with current Physics students, and others as well. I’m sure he has many reasons for why he does come back, but I’d like to think that he mainly does it to inspire younger generations, to instill within them a belief that they can do anything and go anywhere with hard work and the right attitude. Bill Phillips ’70, magically shrinking blown up balloons. His own attitude is one of positivity and an almost childlike sense of curiosity and fascination with physics, even after a lifetime of in-depth study. His energy and enthusiasm was contagious and I found myself excited for each new physical property that he introduced, despite my small amount of disdain for the field of physics. He bounced from one side of the stage to the other, always talking, his hands always moving as he described the intricacies of time and its relation to the coldest temperature ever recorded. During the talk, I roamed through the crowd and behind his presentation setup taking pictures of his talk. I captured liquid nitrogen being poured, ad libitum, on the floor and up the aisles of the lecture hall and I watched as the 77 Kelvin (really freaking cold) liquid nitrogen shrunk twenty or more fully blown up balloons down to a size small enough to fit them all into a bait bucket approximately one gallon in size. 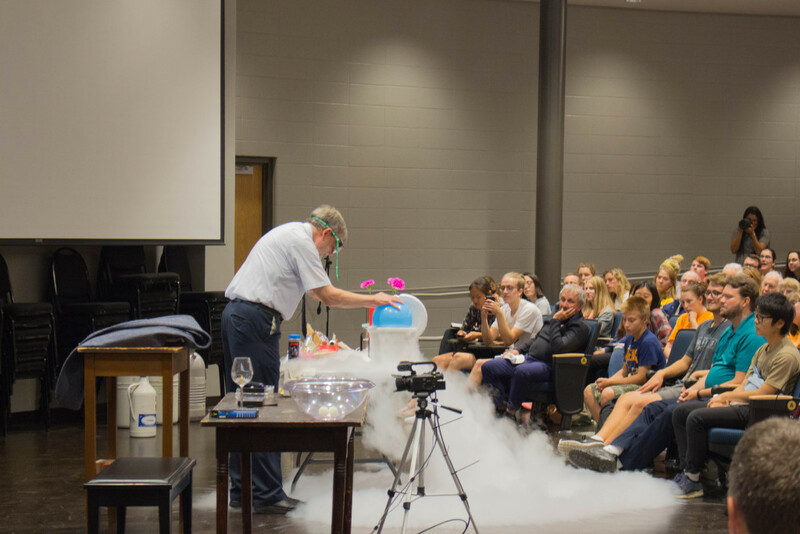 By pouring liquid nitrogen into a clear container we were able to watch this very, very cold substance boil at room temperature. Smashing frozen solid rubber balls into oblivion on the black concrete floor of Alumni Hall in our very own Brumbaugh Academic Center was cool (pun intended) to watch, but more fascinating was watching the crowd. Each face lit up with excitement as they watched each new demonstration. By far the most interesting faces to watch were those of the professor emeriti, those scholars and teachers that have retired from Juniata, several of whom taught Dr. Phillips when he attended Juniata. Their stoic faces broke into easy smiles with each joke and one was even giddy with excitement with each new revelation of a physical phenomenon. And the best moment of them all was when a water bottle filled with liquid nitrogen and placed under a trashcan, exploded launching the trash can up in the air causing the entire audience to jump and my heart to stop for a few seconds. 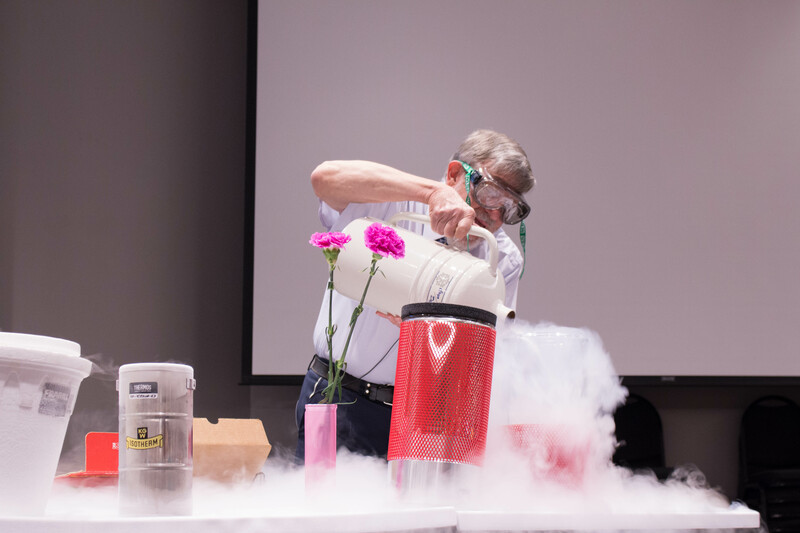 Dunking normal objects, like a flower, into liquid nitrogen makes them brittle enough to disintegrate with a firm squeeze, as Dr. Phillips gladly demonstrated! Bill Phillips most influential contribution to this campus did not come in his relation of physics to students of his alma mater, but in an answer to a question from a young audience member after his talk had concluded. The student asked what, if anything he would tell his younger self. He answered by telling a story of a time during his junior year at Juniata College when a physics professor from Princeton came to give a talk. During the question and answer portion the Juniata students asked about graduate school and getting into Princeton and the speaker gave the rather flippant answer that no one from Juniata could ever get into Princeton. The professor emeriti, left and center midground of the photo, observe a demonstration, perhaps reminiscing about the time they had Dr. Phillips in their classes. Bill Phillips took that information and proceeded to ignore it as he not only applied to Princeton, but also Harvard and MIT. His overarching point with the story was to not let anyone ever sell you short, especially if you are a Juniatian. That really hit home for me as I am now applying to graduate school and worrying if I will get accepted. What I tend to forget is that here at Juniata we are almost over prepared for our futures. If you choose to come to Juniata for the four years of your undergraduate study you are sure to embark on a difficult journey. Fun? Absolutely! Fulfilling? Of course. Difficult? Definitely. But we are better students and people for having gone through those difficult times. Even if you are not a Juniatian now and even if you never will be. Remember to never let anyone sell you short. Show them what you can do and prove them all wrong. You might be surprised how far you get. Maybe you’ll even win a Nobel Prize. When people ask me where Juniata College students go out for dinner, coffee, or to relax outside of campus, I usually have a premade list in my head that I tell them, but that list always starts with the same answer: Standing Stone Coffee Company. Standing Stone is owned by a Juniata graduate, and is only a short walk from campus. It’s a great place to sit, do some homework, or to potentially get a job (as my roommate, Bekah, did). However, they also host these incredible open mic nights in partnership with the college. The open mics can be for everything from just the fun of it, to an open mic night for Genocide Awareness and Action week. Most recently, Standing Stone hosted an open mic night for the International Day of Peace, and it was delightful. A student performs at Standing Stone’s Open Mic Night for the International Day of Peace. 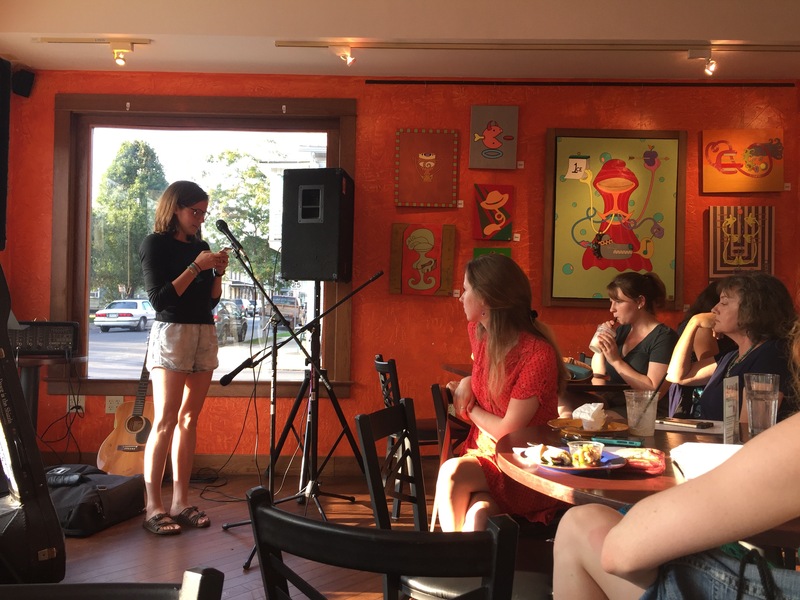 The International Day of Peace open mic ran from 5-6PM in the cozy coffee shop. I was a little late to the event myself, but when I got there, it was amazing. Professors were singing songs about war and peace, students were reading original poems or other works, community members were there, and there was an overall atmosphere of peace in the room. There was so much variety in the pieces that were read. Some had a somber atmosphere, some were hopeful, some were angry… I got the chance to read a piece that I wrote this summer. My reading was a short little blurb of thoughts about an old man and a pipe, which may not sound like it has anything to do with peace outright, but I like to think people enjoyed it! This was my third time reading my work in front of a crowd here at Juniata (or anywhere really! ), and it keeps getting easier and more fun every time. It is something I would definitely recommend to any who are interested in trying! The open mic wrapped up, and then the evening carried on with free live music from a local artist. Overall, I think it was a wonderful event. This has turned into a bit of a piece about how great Standing Stone is, and about how much I like the open mic nights, but that’s okay. It truly is a great little coffee shop, plus they have excellent food if you ever need a snack or a break from dining hall food. And the open mics are something I never thought I would participate in, but really enjoy. All in all, I’m just very thankful that this partnership exists between small businesses in town and the college. It creates something wonderful for all of us. Location is key. Who we are is often dictated by where we are, the pressures we face and the opportunities that present themselves to us. Fortunately for a philosophy major like myself, opportunities to channel Thoreau and escape into nature to reflect are many. This is perhaps my favorite perk of living at Juniata; the rolling foothills of the Alleghenies provide as many opportunities to get as lost as one wishes. Living in a rural area has been a change for me. Where I live at home in Massachusetts might technically be considered exurban, but I’m no civil engineer. It’s safe to say that I would have to drive for several hours before I start seeing cows in pastures on the side of the road. Here, however, cows are nearly as common as cornfields. While some might think this would be a shock to my system, it has in fact proved the opposite. Living in a brand-new environment and facing novel challenges has strengthened my character considerably. 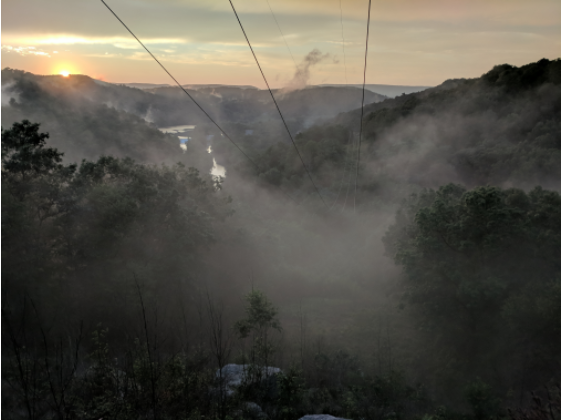 Going out of one’s comfort zone–whether it’s taking a class on Business Management as a philosophy major (as if a philosophy student will ever be in charge of a successful business) or joining the SCUBA club as a novice on a week-long trip to Florida–is the most surefire way of developing one’s self. …or both! It’s not always easy to be a diligent student here at Juniata, but it certainly is easy to see why I love this place so much. As I write this, people all over the country are flocking to polling stations to cast their votes in one of the most divisive elections of our time. For months we have been bombarded by almost non-stop news coverage of what the candidates have said or done. New discoveries about shady pasts and predictions about even shadier futures have had us on the edge of our seats. But as with any mind numbingly repetitive act, this election cycle has ceased to surprise us… well at least me. The things that once appalled us about our candidates don’t really affect us anymore. When a heavy hitting revelation happens each week, the potency that they might have once held rapidly degrades. Figure 1: First time voting! I would hardly describe myself has a political person, but the candidates up for election, and the issues they stand for, have gotten me fired up on more than one occasion over the past few months. Logic would dictate that the closer we get to election day, the more heated the arguments would get as people would try to sway their friends to their side of things. Yet I have noticed quite the opposite has happened. Sure I still here the odd conversation about the election on campus and I pick up the odd bit of election news from The Late Show with Steven Colbert, but the fiery rhetoric that has been such a Hallmark of this election has disappeared. Now again, I am not a political person and this is my first time voting, so I don’t know if this is how an election cycle usually progresses. Regardless, I think that we are all tired of the whole year. The election cycle was like watching a really bad reality show. Like the ones you see on TLC. People watch, not because they are particularly interested, but because they are captivated by the spectacle. By the time this blog is posted we will know who our next president will be and, hopefully, the drama will be over. Here at Juniata there will probably be discussions that last a few days. We will want to know what our country will look like with our new president. Maybe a few of us will do some late night Google searches on the best way to sneak into Canada. But just as the election cycle rhetoric dissipated, so will the nervous chatter. We will start to focus our at’tent’ion to our annual tradition of tenting, where students camp out and compete for tickets to the Madrigal dinner. Students will write wraps, and choreograph dances and stock up on cold medicine in preparation for the week after tenting. I guess the point I am trying to make is that while the presidential election is important and will determine a lot about the next four years, the outcome shouldn’t change how we live our lives. As someone somewhere once said, “This too shall pass.” Despite how you feel about the impending election results, don’t let them ruin your day, or your week or your next four years. There is a lot more to life than a presidential election. So if you’re feeling a little nervous, pack up a tent and get away from it all for a while. Oh, and don’t forget the cold medicine, it’s a little chilly outside.